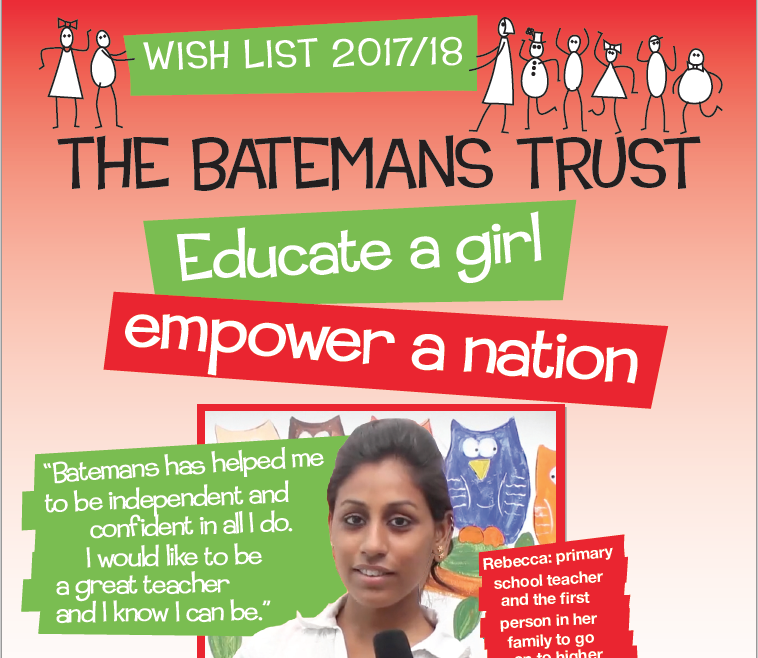 Educating girls has been a Batemans priority for many years and it is the focus of our 2017/18 Wish List. 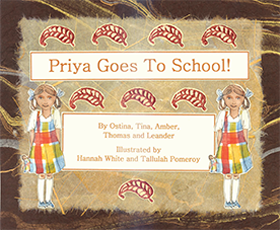 If a girl can make it through primary and secondary education, the chances of lifting her and future generations out of poverty are vastly increased. While Batemans has a proud history of enabling all the children in its care to fulfil their potential, we recognise that girls face unique challenges to access education. Please help us continue to change lives this Christmas by giving a gift that will have a lasting impact. We will send gift cards to anyone donating more than £10 to The Batemans Trust Wish List. These cards can be sent to friends and family to let them know that you have made a donation by way of a gift to them. To order one or more gift cards, donate via JustGiving, then email mail@batemans.org.uk with your name, address details and number of cards required. Alternatively, download the Wish List, print it out, complete the form and post to the address on page four as soon as possible.